Would you like to get familiar with the basics of sewing? This class is for you. We will go over basic sewing terms and show how to cut perfect squares using a rotary cutter. You will learn tips for accurate piecing and pressing as well as sewing buttonholes and using a machine to sew on buttons. Personalize your pillow using our printable fabric paper. 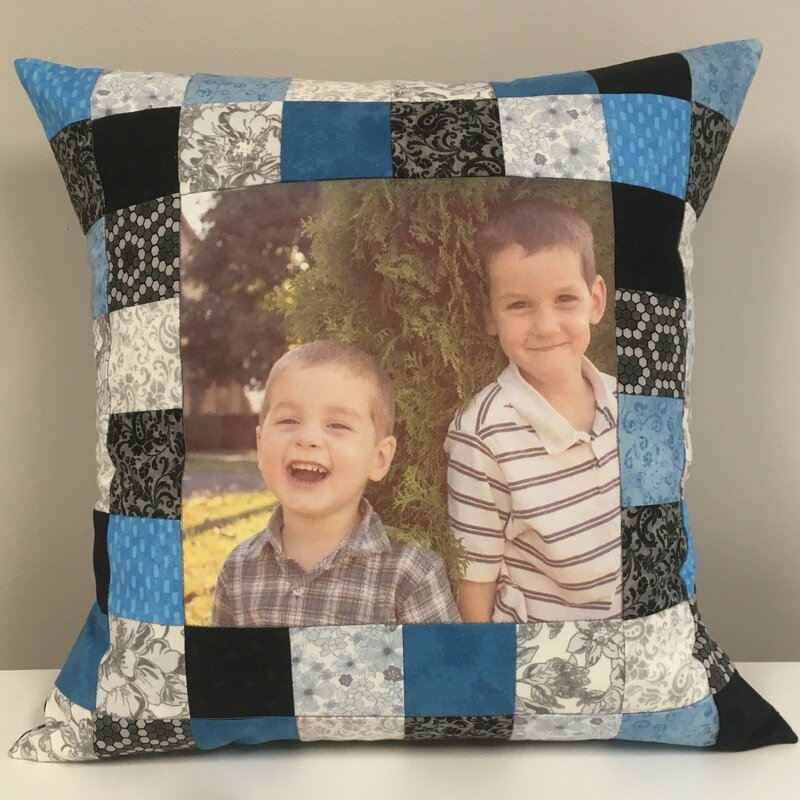 - If you would like a photo in the center of your pillow, purchase photo fabric from our store and print it ahead of class. There is easy to follow instructions on the photo paper package. If you are not doing photo fabric for the center bring a 8 1/2" square of a your favorite print for the center.